While away the warm summer nights on some of Melbourne’s coolest rooftops. Far above the heaving laneways and bars on the ground level, here are a few picks of rooftop bars to visit while you are in Melbourne. 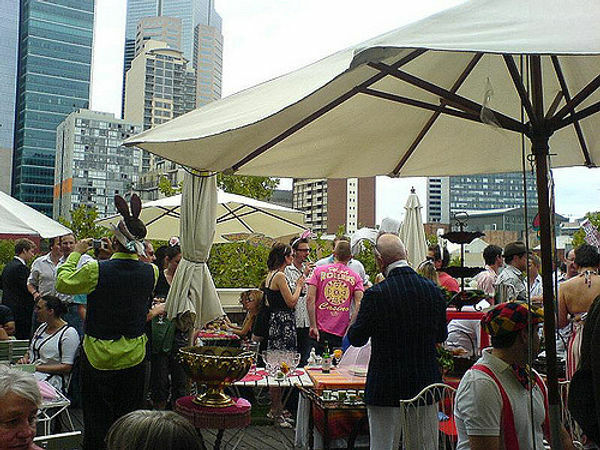 Located on level 3/59-63 Bourke Street, Melbourne (Open 12pm-1am) lies an open aired rooftop bar known as Madame Brussels which coins itself ‘a very fancy garden party’. Named after a brothel owner notorious for her eccentric way of life in the 19th century the bar embodies this peculiar and dreamlike wonderland as an ode to this entrepreneur. Even the drinks are inspired by Madame Brussels with punches entitled Lady Liberty and Love Juice! As well as a beer and wine list, and savoury and sweet nibbles such as sausage rolls or fresh raspberry cupcakes, this is a great place to go on a summer’s night whilst feeling like you are in your own little garden party. At the top end of Bourke Street (Level 2/79 Bourke Street, Melbourne), the bar Good Heavens is the place to go for a city view accompanied by a cocktail, craft beer or a glass of Australian wine (Open 12pm-1am). With cocktails such as Mai Tais, Espresso Martini and Paloma En Verano, you’ll be able to revisit the 80s with this retro inspired menu. Above the American BBQ Style eatery, this rooftop bar also offers an Americana theme lunch menu consisting of meals such as fried eggplant sandwiches and pull-pork sandwiches between 12 and 3pm so you don’t have to go downstairs for a bite to eat. Don’t be fooled by The Corner Hotel just being known for its epic concerts in the band room, there is also a rooftop bar (57 Swan St, Richmond) offering a $20 pie and pint night and a trivia night on Wednesday. As well as special nights, this prime destination for many locals includes a pub grub menu of counter meals like parmas, burgers and pies, salads as well as sharing plates. There’s an extensive cocktail lists ranging from renowned Corner cocktails to more classic cocktails as well as beers and wine. 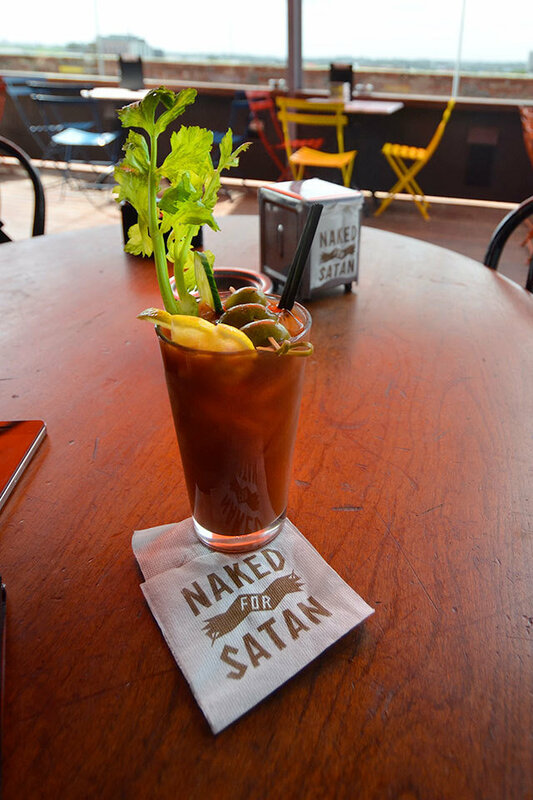 Above Naked for Satan the downstairs restaurant renowned for its infused vodkas and Spanish cuisine from the Basque region including Pinxtos, is its ally, Naked in the Sky, an open terrace with a bar and outdoor restaurant. There are weekly lunchtime specials and tapas to enjoy as well as a range of craft beers, Aussie and Spanish delectable wines and cocktails. 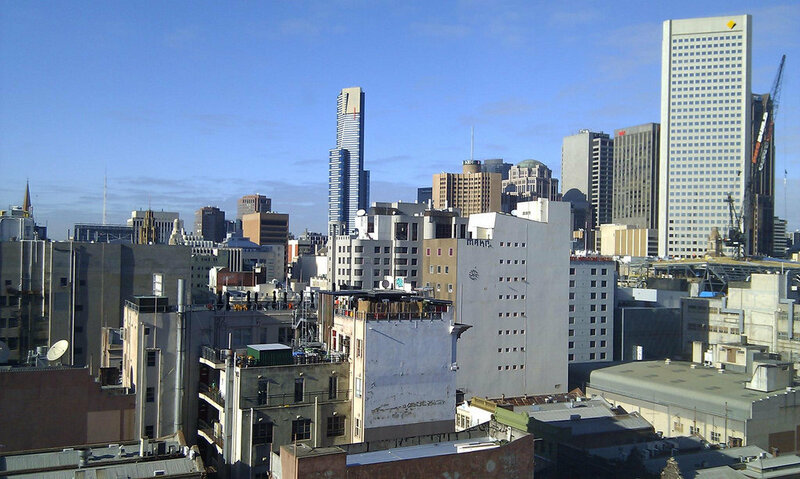 The views are an exceptional mix of Brunswick Street and a vista of the city. With wonderful staff and a bubbly atmosphere, Naked in the Sky (285 Brunswick St Fitzroy) is the place to be this summer.